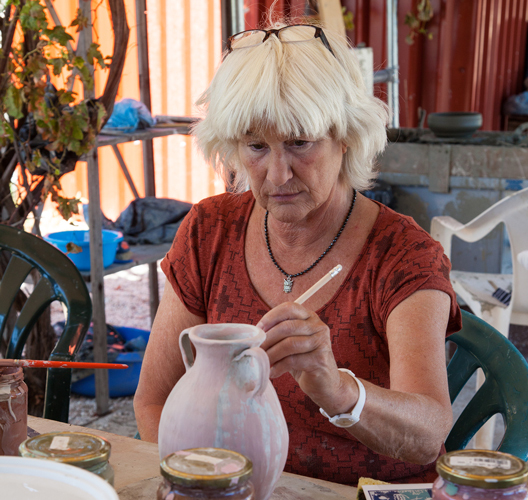 All offered ceramics workshops are suitable for both inexperienced as well as advanced students. 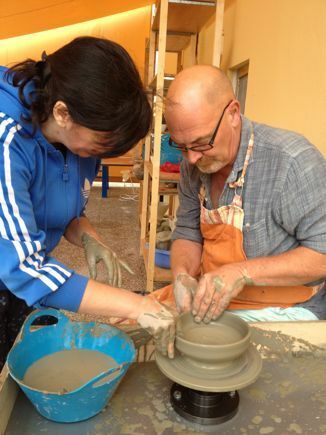 Beginners usually start with a square piece, such as a box, which is built up from rolled out slabs of clay. This way you will learn how the connections are made so that they stay together during baking. Then you can also learn how to make a round object, for instance a bowl, built up from long strands of clay (spaghetti)that are stuck together. Also here, the connections are very important, so that no cracks occur during the baking. 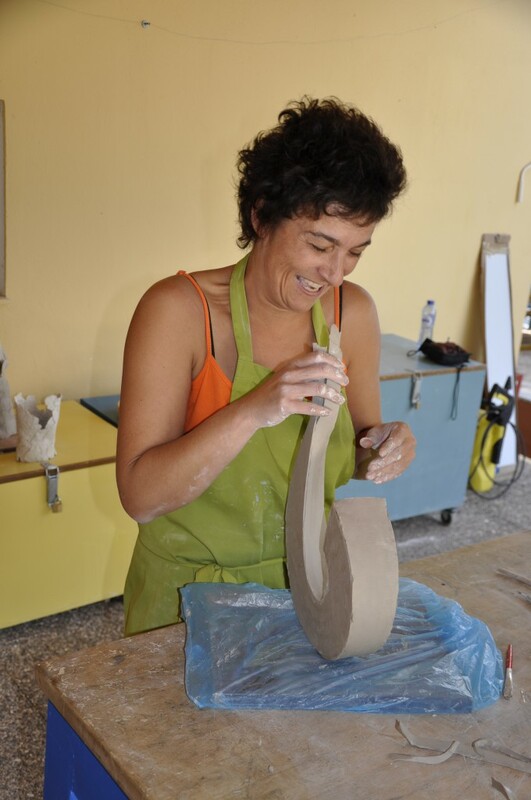 You can also learn to work on the turntable or model free forms in different types and colors of clay. 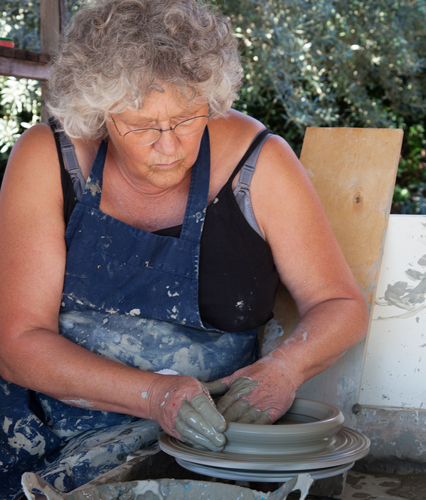 Participants with some experience can choose which techniques they want to apply or practice. They are then individually tutored by our teachers. 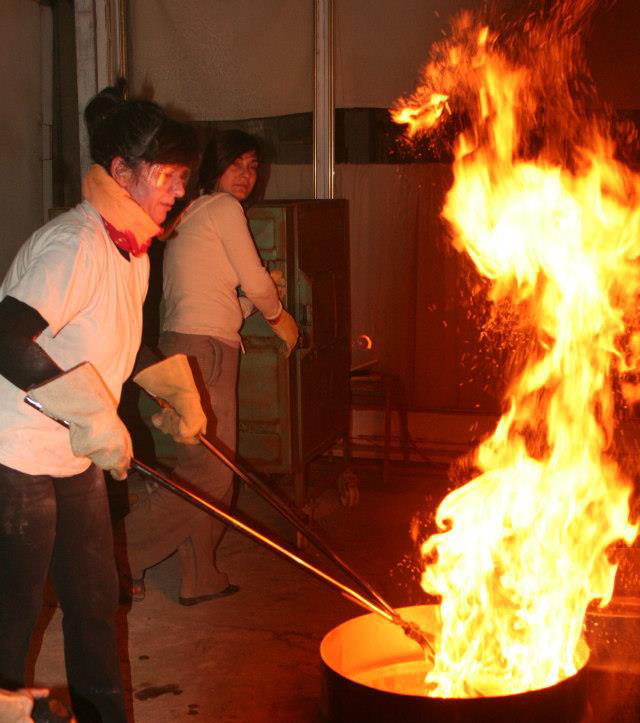 This year we also offer ‘smoke firing’ during the workshop. The special feature of this way of firing is that unglazed parts of the ceramic objects will turn black. All necessary materials and tools are available. 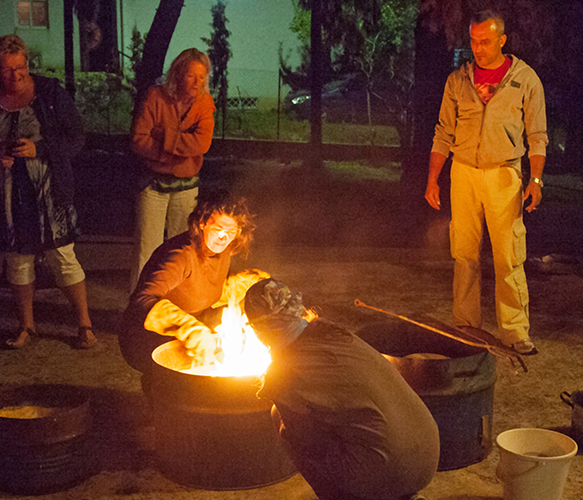 We also have a ceramic oven in Kantia, so that the pieces can be fired and glazed on site. Of course we also transport all your ceramics items back to the Netherlands. These can then be collected during the exhibition in the Netherlands. 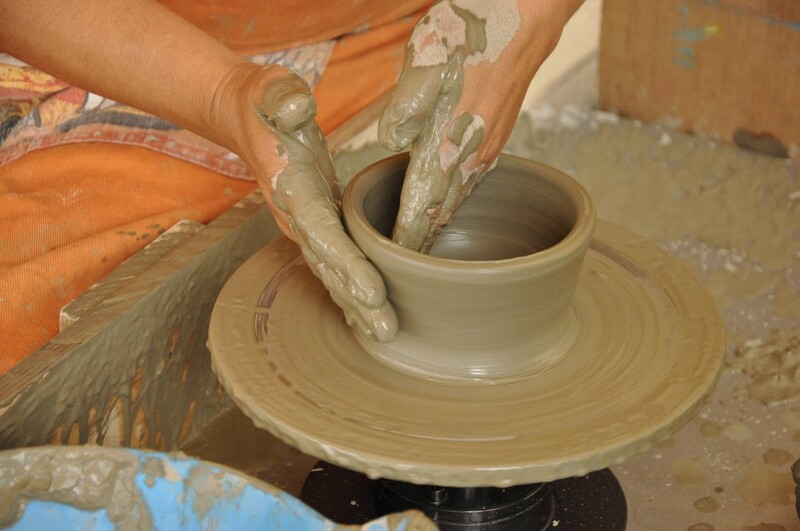 Various basic materials are included as well as use of all tools and the potters wheel.